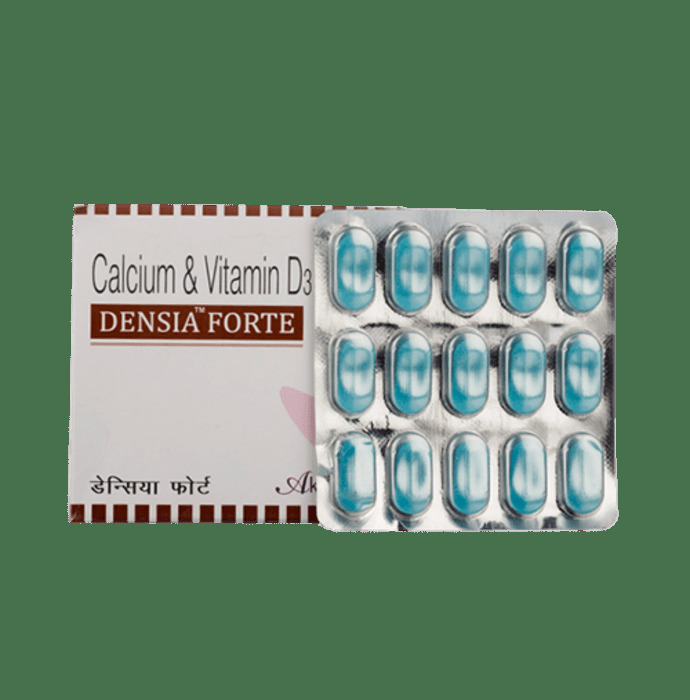 Densia Forte tablet is a combination of Calcium with Vitamin D(calcitriol) which is used as bone joint supplement. Vitamin D(calcitriol) that is used in the absorption of calcium in the blood. Vitamin D helps in processing of essential minerals in the body like Calcium and Phosphorus. Lack of Vitamin D results in bone weakening, bone pain, and skin diseases. Densia Forte is a nutritional supplement which can be taken by people who have low levels of calcium in their blood.Densia Forte is used in elderly people to keep bones healthy and strong, and is even effective in Chronic arthritis and Osteoporosis. 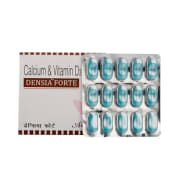 A licensed pharmacy from your nearest location will deliver Densia Forte Tablet. Once the pharmacy accepts your order, the details of the pharmacy will be shared with you. Acceptance of your order is based on the validity of your prescription and the availability of this medicine.